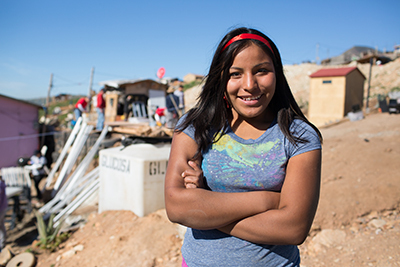 On the outskirts of Tijuana, Mexico just south of the U.S. border is the tiny dust-blown community of Fuentes del Valle. 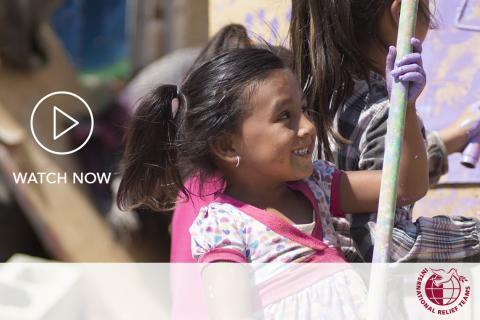 Fuentes is filled with young migrant families, mostly from Central Mexico, who have come in search of opportunity and better wages well known to exist in the crowded border society. 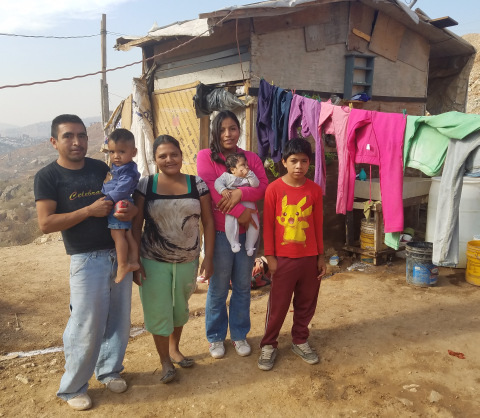 None of these families planned to live in a community like Fuentes; dirt roads, “houses” builtfrom scrap materials, limited access to water and no sanitation, no schools or medical facilities. A harsh, desert climate is a tough place to raise children. 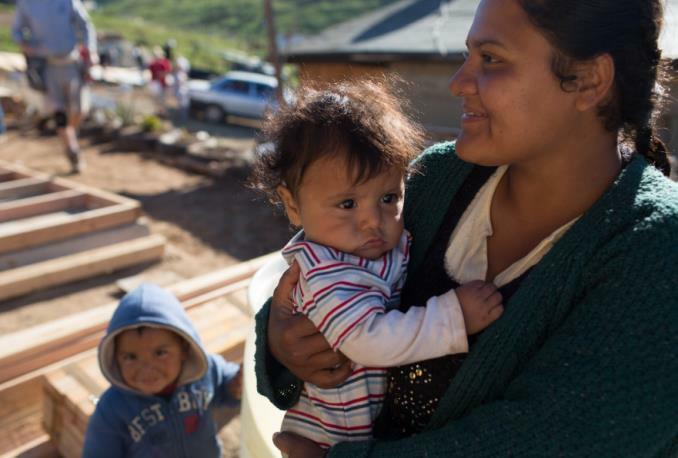 But, with the high cost of rent in the city center – many made the trek east of Tijuana when they heard about a new community where families could settle and grow. Meet the Victoria-Tapia family. 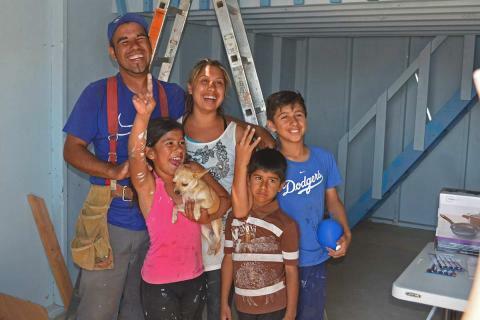 They were living in Tijuana and using the majority of Enrique’s wages as a construction worker to pay their rent leaving very little for food and other basic necessities. 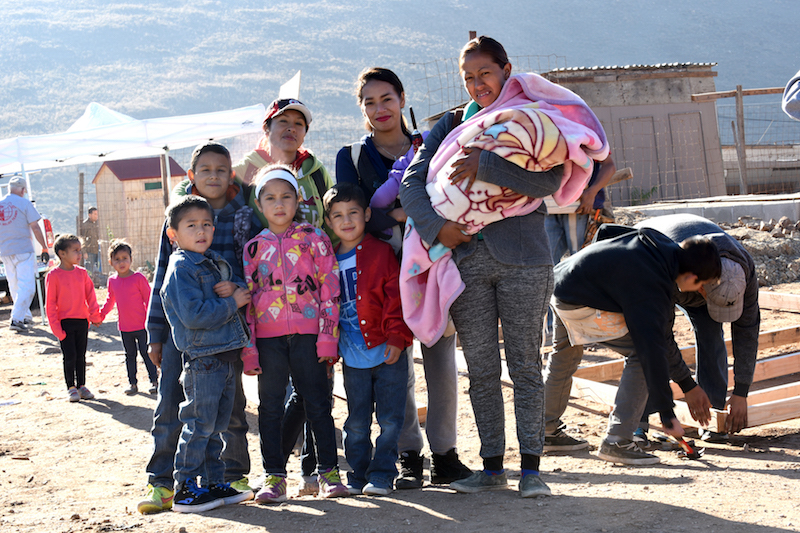 When their neighbors moved to Fuentes del Valle and later told them about a vacant plot of land next to them, the family picked up and moved their four children. 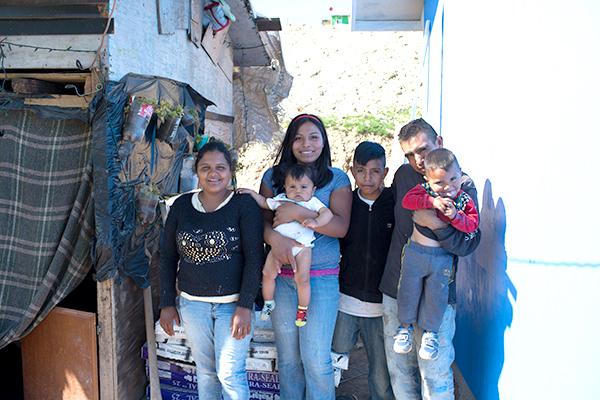 Nayali 25, Enrique 24, Quetzali 15, Reyli 12, Jesus 2, Kevin 9 months stand in front of their home in Fuentes del Valle. 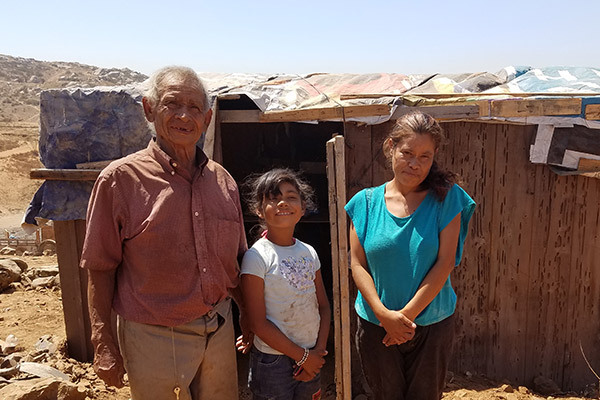 When they moved a year ago, they discovered Fuentes consisted of a wide dirt road lined with improvised homes and simple stores made out of old garage doors and tarps. This street is the life blood of the community; children ride bikes, women mingle, and dogs roam. Either side of the road slopes steeply downward where more shacks are carved into the sides of the hard ground. The south side of the community slopes down into a creek bed that flows when it rains. From here, a large, steep and vacant hill spans the length of the village and makes for an imposing, stark view from almost anywhere in Fuentes. 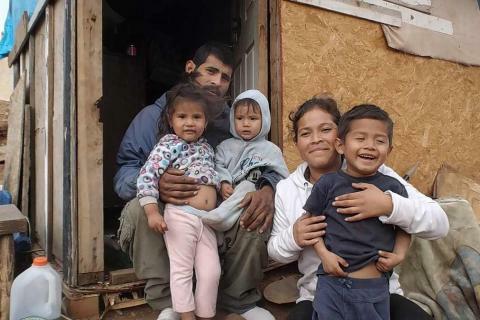 For the past year, the Victoria-Tapia family has lived in a tiny, one room shack no bigger than a typical child’s bedroom. They have been sleeping on elevated wood planks without mattresses. Behind the house is the family’s indoor outdoor kitchen. ‍When they don’t have enough money for cooking fuel, they cook on the open fire. 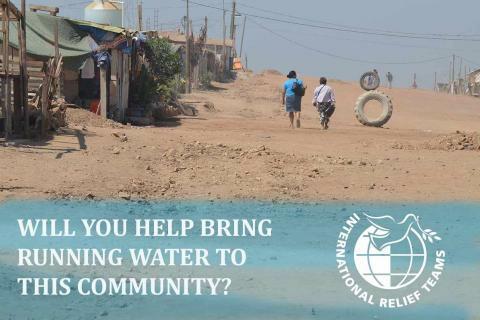 ‍Without running water, they pay to fill these giant barrels with water twice a week. 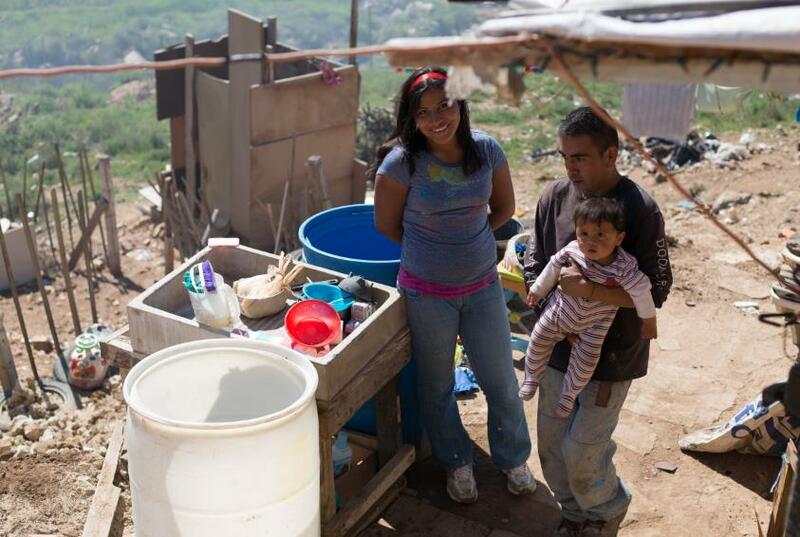 When they cannot afford water, they bathe and wash their clothes in the creek below their house. Space and comfort were not their first priority –being together as a family was. 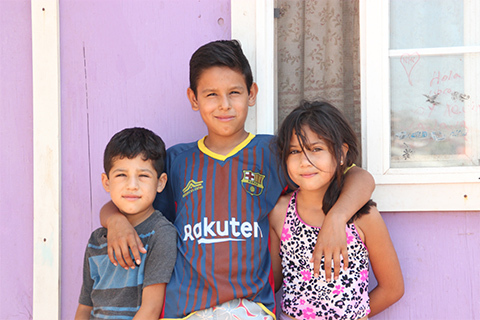 Nayali and Enrique moved to the border from central Mexico where jobs were scarce and Enrique had to travel in search of work for up to a month at a time. 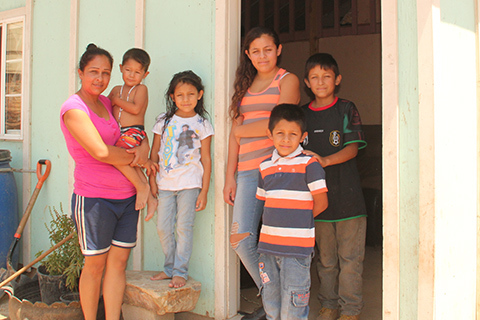 Although she is far from her extended family in Fuentes, Nayali says she is much happier here because her children get to see their father every night after work. 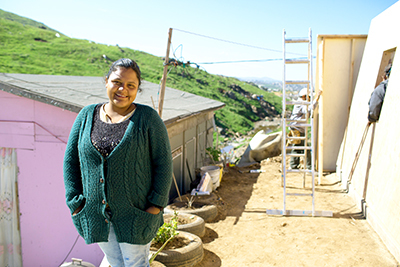 ‍Enrique and Nayali stand next to their house mid-construction and watch an IRT volunteer and baby Kevin get to know each other. Our volunteer team met this loving family on a cold February morning, a day that would change their lives forever. 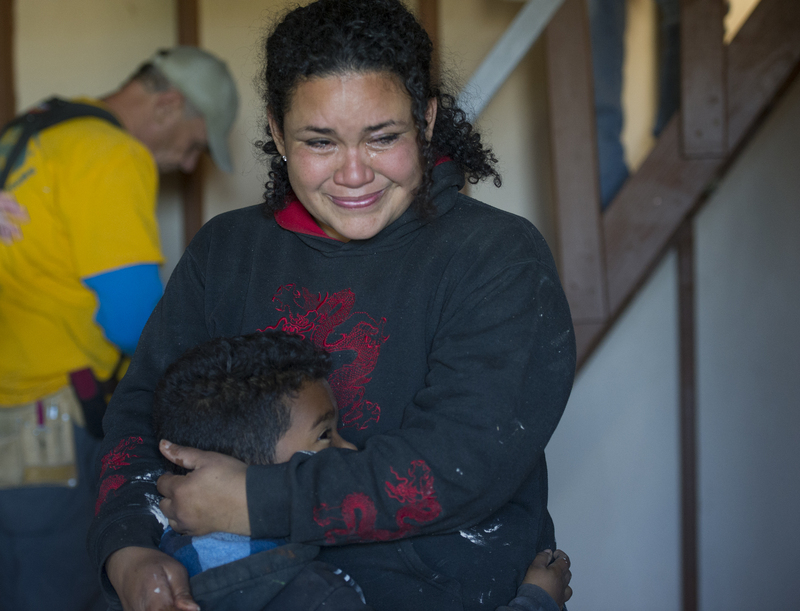 On this chilly day, 16 volunteers from San Diego made the trip to Fuentes to build the Victoria-Tapia family a home. 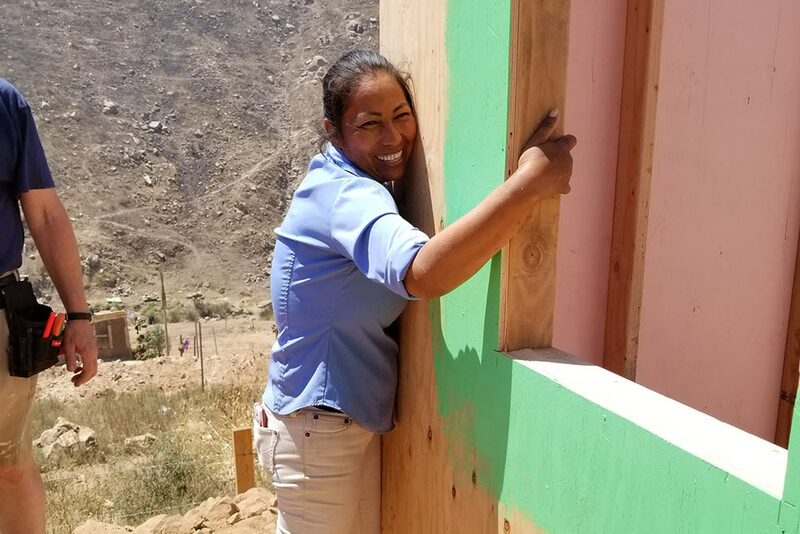 In just one day, these volunteers constructed a nearly 800 square foot home (including a loft), with sturdy wood walls and a concrete floor. Although most would consider this structure to be extremely basic, it meant everything for this family of six. It meant Quetzali could have her own space for the first time, sometime she has desperately wished for, as many teenage girls do. It meant Nayali would have a clean kitchen to cook in for the first time. It meant Kevin and Jesus could nap in the middle of the day without being disturbed. It meant the family would not get wet and sick whenever it rained. 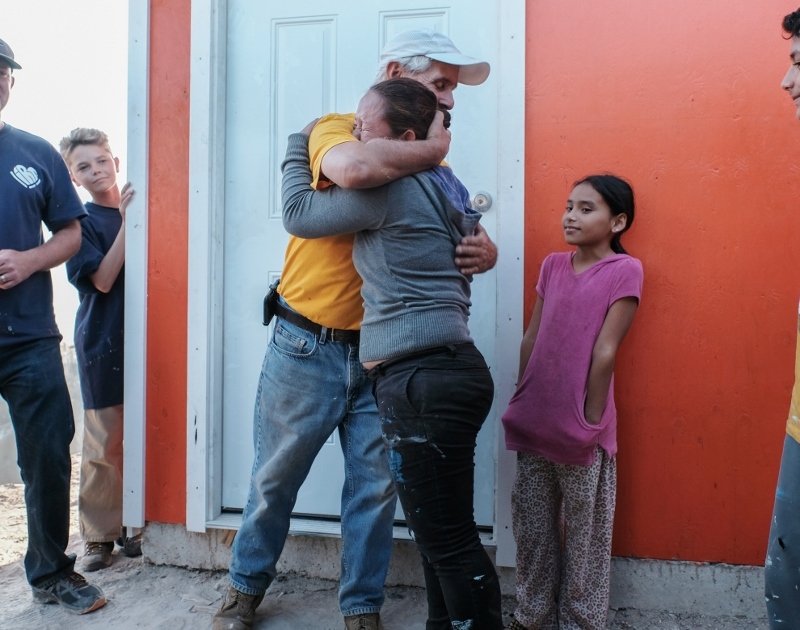 ‍Nayali and Enrique were overwhelmed with emotion at the end of the day when they realized they would sleep in a new home that night. Both Enrique and Nayali were extremely grateful for this wonderful gift. 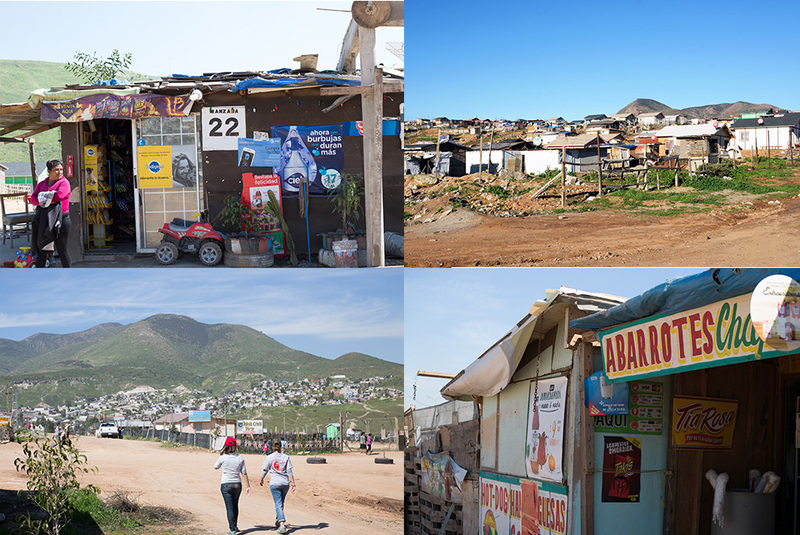 ‍The family stands proudly between their new and old homes, full of hope for their future. “This house is a dream come true,” said Nayali. IN PICTURES: How can water change this one community?